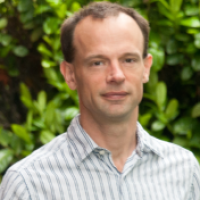 Dr. David Moore is a Research Scientist at the BC Centre for Excellence in HIV/AIDS, and an Associate Professor in the Department of Medicine, Division of AIDS at the UBC. He has been conducting health service and population health research in HIV since 2004. Dr. Moore conducts research related to HIV risk behaviour, substance use and biomedical and behavioiural interventions among MSM in BC. He is a co-PI of the Momentum Study (http://momentumstudy.ca/), a longitudinal cohort of MSM in Vancouver. He is also a co-PI oF a team of researchers and community partners implementing a study of HIV and MSM in Toronto, Montreal and Vancouver known as Engage (http://www.engage-men.ca/home/). He also conducts research related to clinical outcomes for individuals accessing HIV treatment in BC. In addition, he conducts research in Uganda along with partners at The AIDS Support Organisation, and the Uganda Virus Research Institute/ Medical Research Council (UK). Teaching commitments vary at SPPH.